Amitabh Bachchan and Jaya Bachchan’s daughter and Abhishek Bachchan’s sister Shweta Bachchan Nanda, the OG star kid, recently launched her clothing line. The label is called ‘MxS’ and is launched in collaboration with ace designer Monisha Jaising. Shweta has become quite a popular name in the fashion industry lately and her newly launched clothing line only proves further of the goodwill and passion towards fashion. MxS launched its world store in Mumbai on 01 September and the event was a starry affair. Whos who of the tinsel town attended the launch and the red carpet was a sight to behold. Some B-town A-listers came wearing Shweta’s newly launched label to exhibit solidarity. Katrina Kaif, Aishwarya Rai Bachchan, Abhishek Bachchan, Nita Ambani, Isha Ambani, Jaya Bachchan, Amitabh Bachchan, Gauri Khan, Suhana Khan, Tina Ambani, Karisma Kapoor, Karan Johar, Athiya Shetty, Neha Dhupia, Angad Bedi, Sussanne Khan, Ananya Panday, Maheep Kapoor, Shanaya Kapoor, Amrita Arora and other B-town celebs were seen at the bash. Katrina Kaif wore Shweta’s label at the launch party. She looked effortlessly chic in this graphic Tee and animal print skirt. Katrina’s sister Isabel Kaif, who is soon going to make her acting debut in Bollywood, also accompanied her at the bash. Suhana Khan looked stylish in peplum-style one-shoulder midnight blue top and white mini skirt. Gauri Khan too wore an MxS outfit. She looked classy as ever in a glittery silver trousers and a sheer white shirt. She left her hair in loose soft curls and wore spiky high heels along with it. Gauri Khan reunited with her BFF Sussanne Khan at the MxS launch event. The two friends posed for the shutterbugs. Shweta’s teen daughter Navya Naveli Nanda dazzled in a golden off-shoulder dress from MxS. 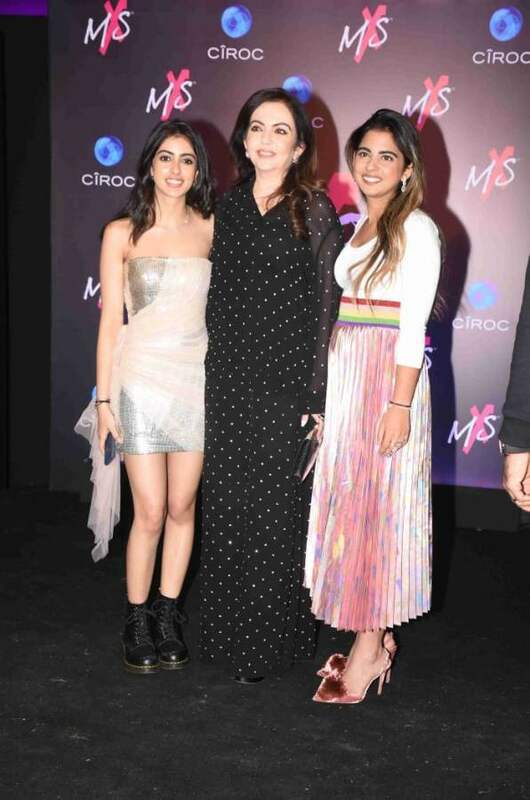 Nita Ambani came along with her heiress daughter Isha Ambani to support Shweta on her D-day. Nita was looking regal in an all-black outfit. She paired the dress with huge diamond studs and rings and kept the makeup minimal. The other Ambani lady i.e. Tina Munim Ambani was looking casual yet stylish in her blue denim and white shirt combo. She wore orange heels and handbag to add a splash of colour. BFFs Karisma Kapoor, Amrita Arora and Anu Dewan wore matching all-black dresses at the bash. While all three ladies were looking gorgeous, Karisma’s glittery black Balmain blazer stole the show. Shweta’s childhood best friend Karan Johar joined the party wearing a casual hoodie with a graphic print of a rainbow text- Love. 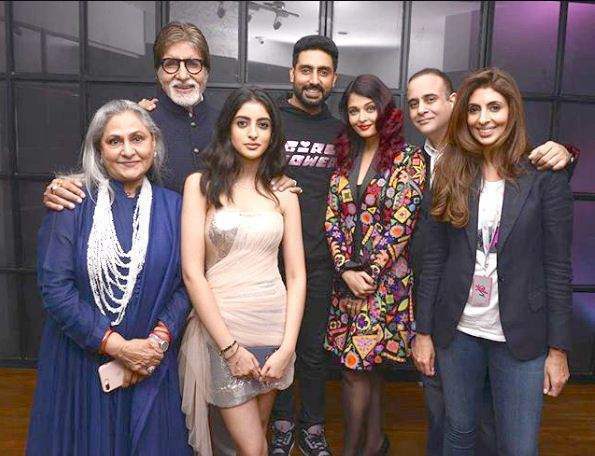 FAMILY TIME: From Shweta’s parents Jaya and Amitabh to her brother and sis-in-law Abhishek and Aishwarya, the Bachchan family gathered to support their daughter in her endeavour. Athiya Shetty looked the perfect combo of casual and stylish when she paired blue denim with a shimmery purple blazer and a casual white top. 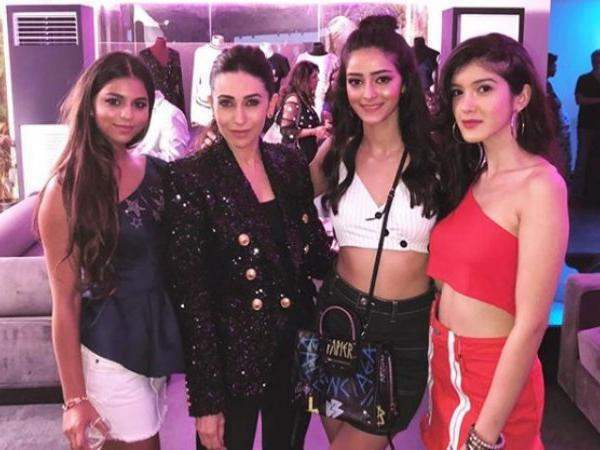 Soon-to-be debutante Ananya Panday turned up in a grunge look. Maheep Kapoor with daughter Shanaya Kapoor in MxS label. ‘Lust Stories’ actress Kiara Advani looking stunning in a gothic look. Neha Dhupia sporting her baby bump and looking radiant as ever. 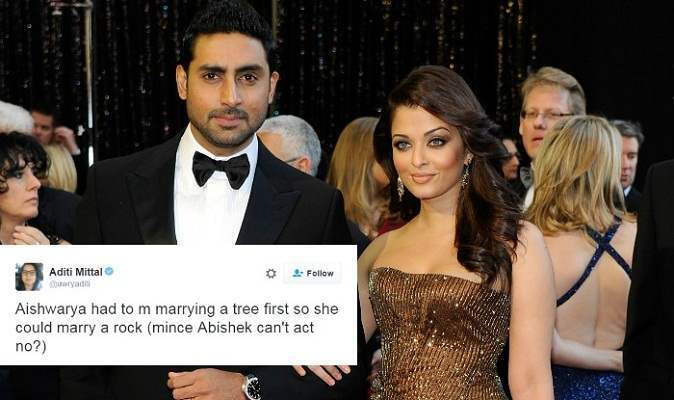 A Hater Trolled Abhishek Bachchan Over His Career! 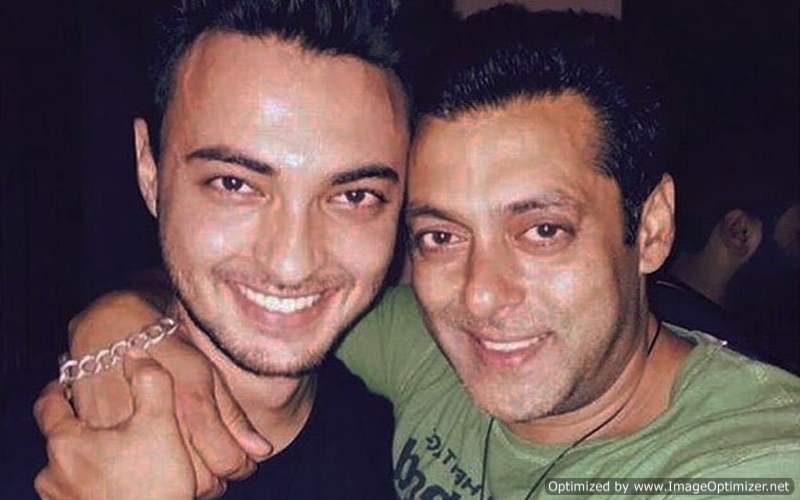 His Reply To Him Will Win Your Heart!